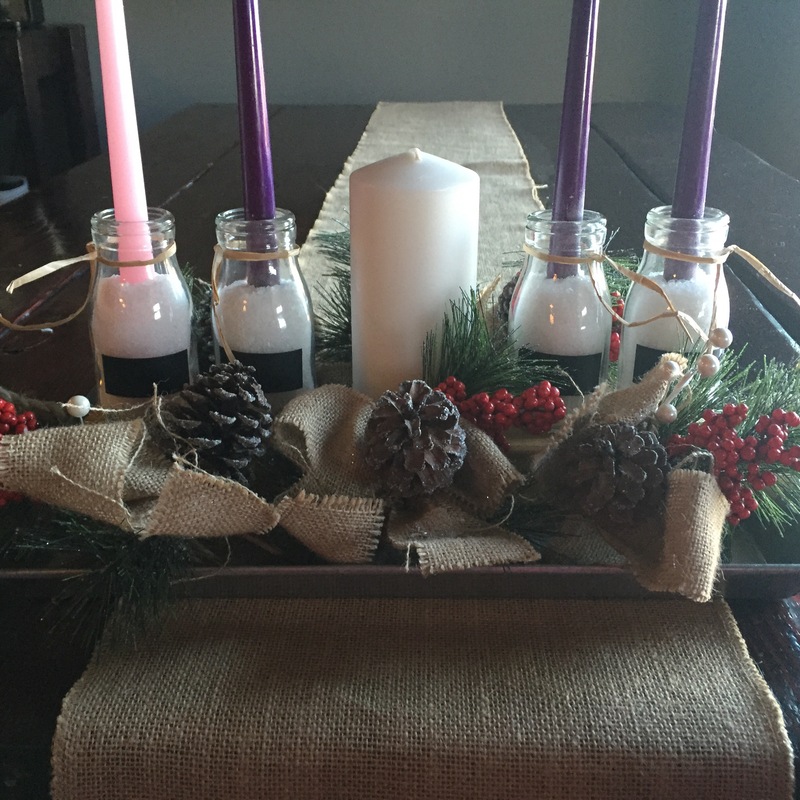 So, I battled it out today for Make it Monday…Thanksgiving or Advent. I mean, in all appropriateness, I should be sharing a fantastic “must have” recipe for your upcoming Thanksgiving meal. 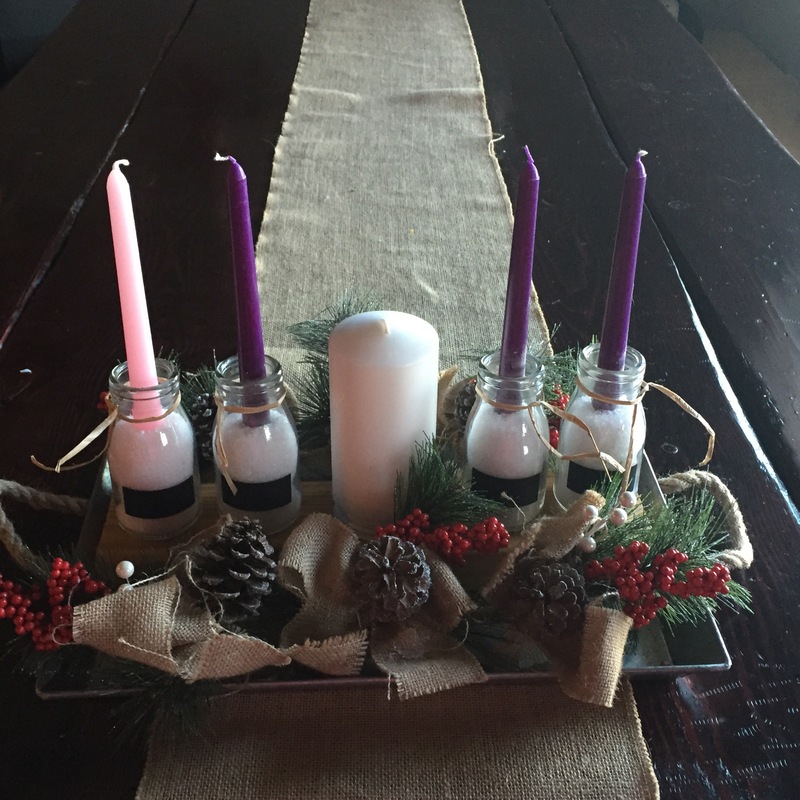 However, next Sunday is the first Sunday of Advent, so I feel like I would be in remiss if I wait until it has already started to share this idea with you. Quandary. 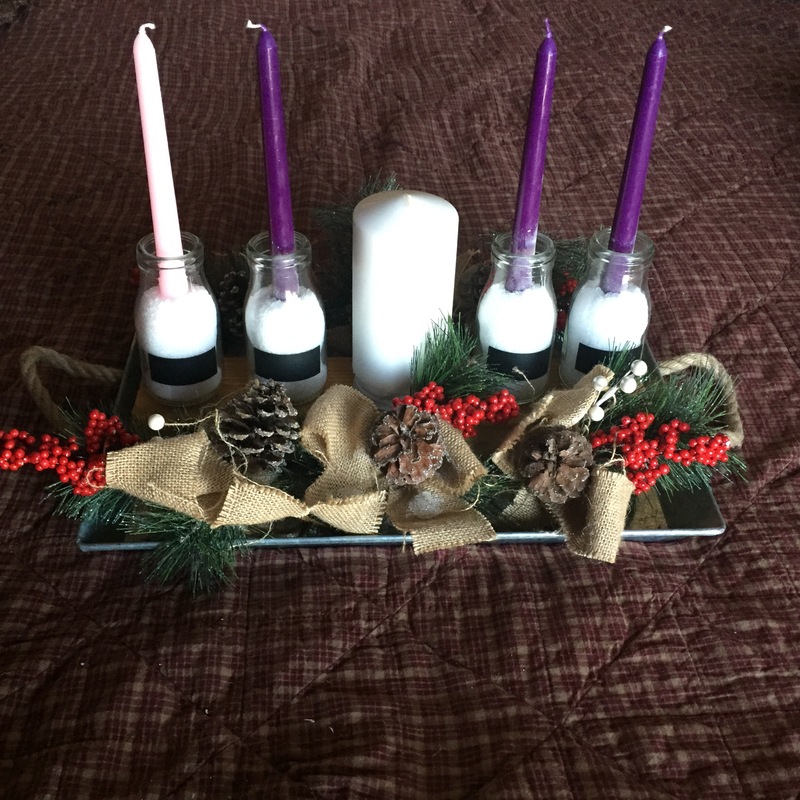 Well, since I am really excited about doing Advent this year (our first year to do it), I went ahead and moved forward with the Advent post. Also, the candles might all be sold out by next week if you decide to wait until then to buy them. Soooo….here we go! I really wanted my wreath to be different and representative of our home and style. I found some nice and fancy ones online, but they definitely were not us. So, I scoured Pinterest for some ideas and I fell in love with so many! 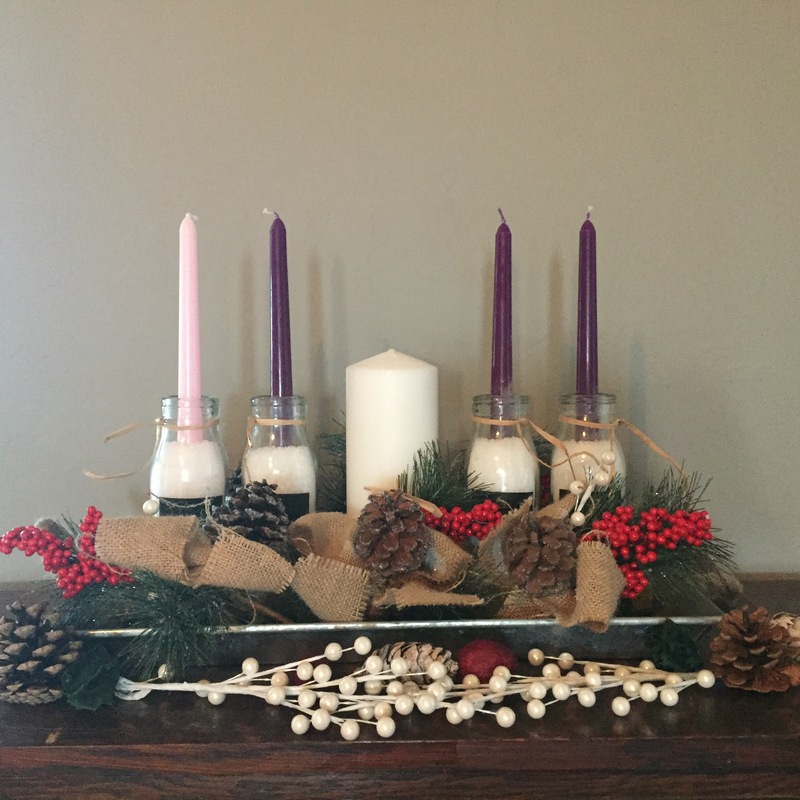 My friend made her own Advent wreath and took a picture so I could see how hers turned out —- it was perfection. With all the lovely ideas floating in my head, I finally had a mental image of what I wanted mine to look like. 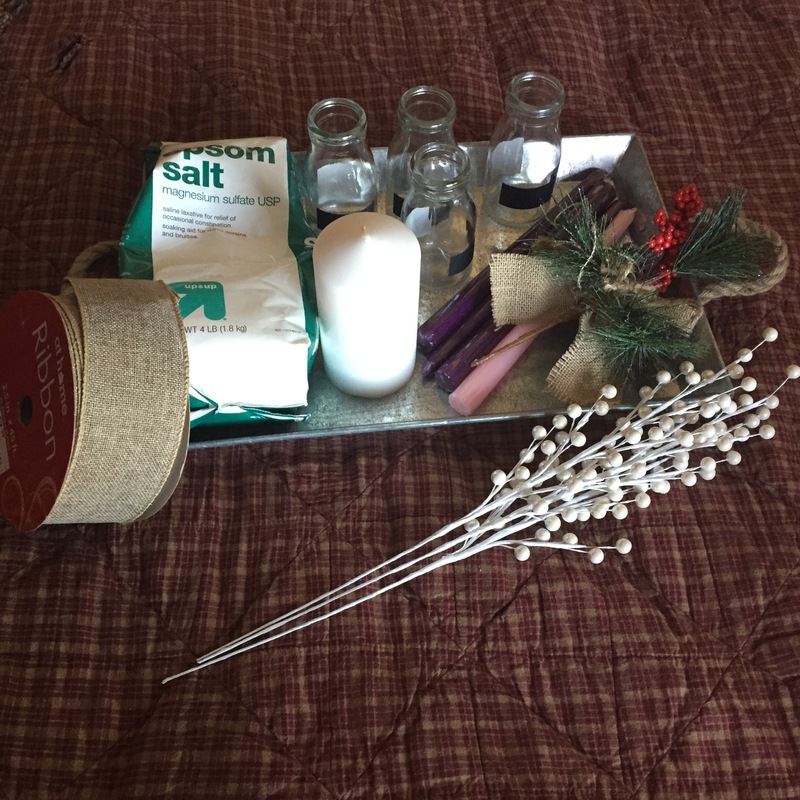 I went to the store to buy the said supplies for my lovely homemade wreath….and could not find half of what I needed. So, I improvised. 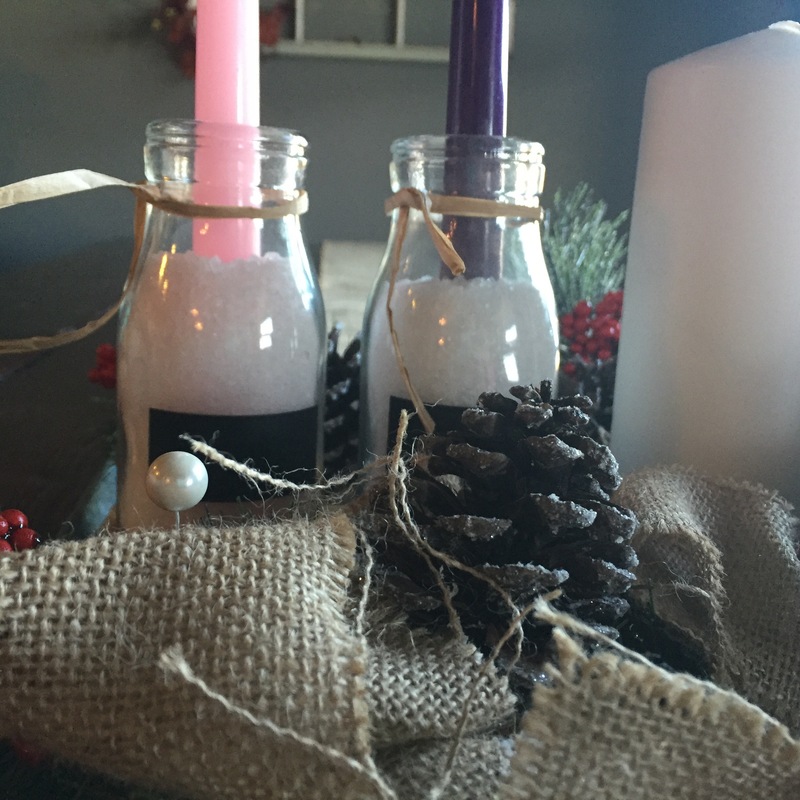 I snatched the only Advent colored candles I could find. 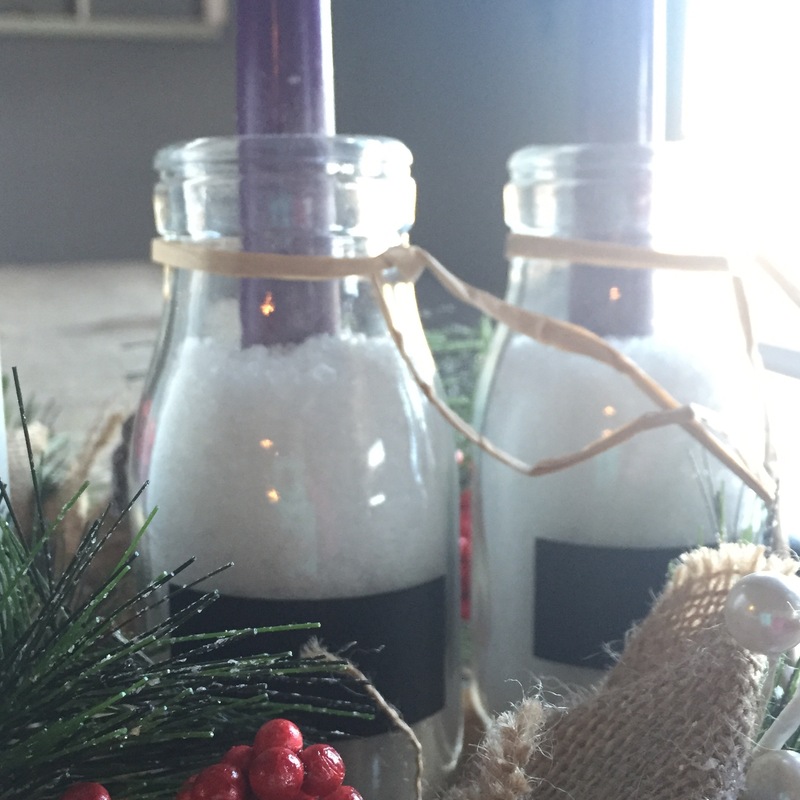 I then found these cute little bottles (on sale) for the candles to go into. I spotted a tray that would do just fine for holding everything. 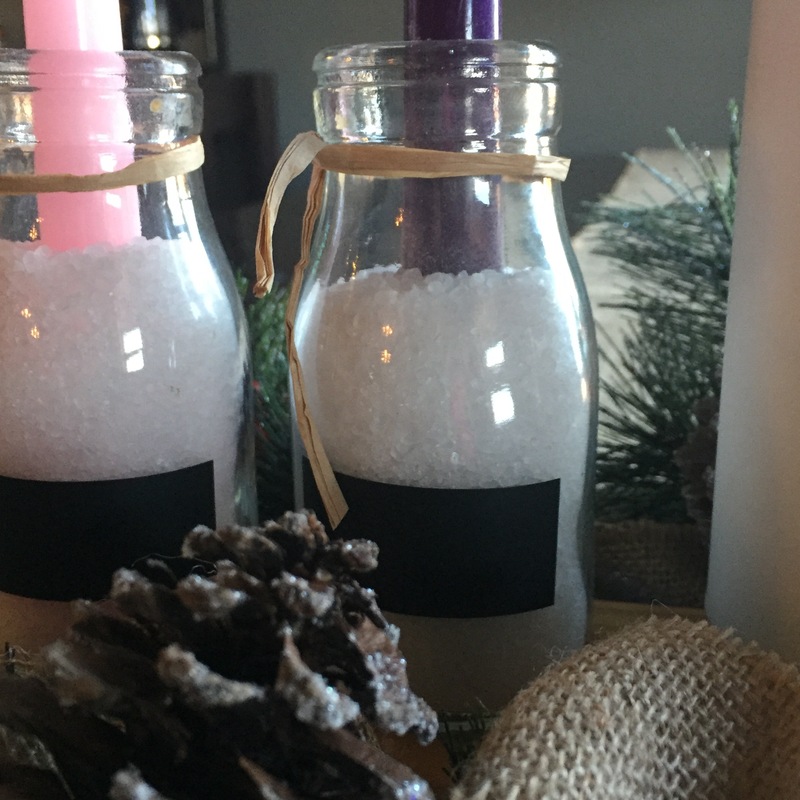 I bought some Epsom salt to fill the bottles and help hold candles in place. Then a little Christmas garland. 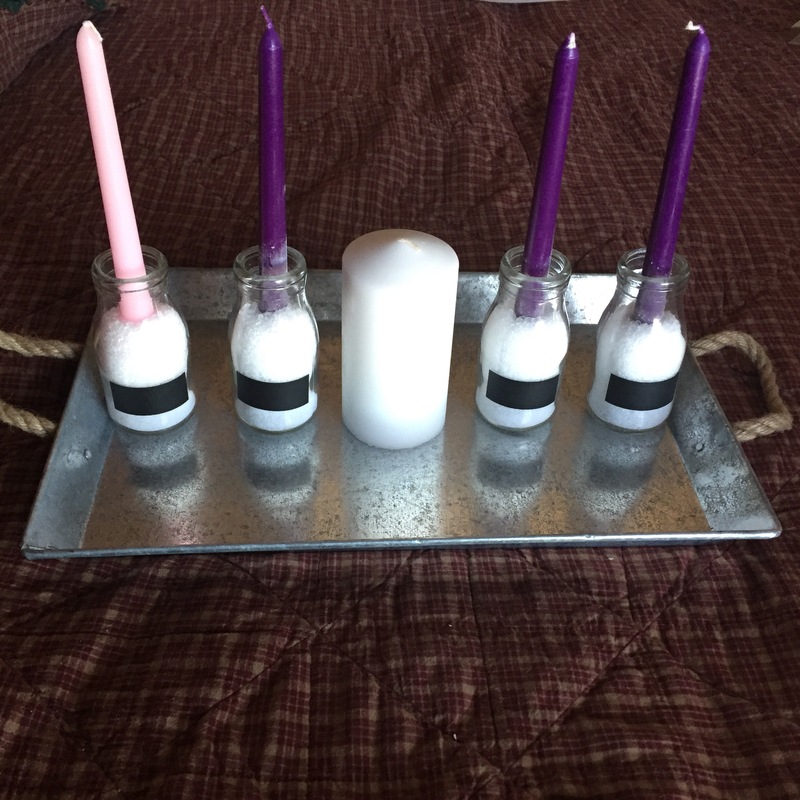 I recommend placing candles in the bottle before filling with Epsom salt, it is much easier. Then, it was just adding a little of this and a little of that. I’m still not sure what I will write on the bottles…so they are staying blank for now. I hope you enjoyed today’s Make it Monday! What are you making today? Please, share! Oh, that is lovely!!! I can’t wait to start decorating at the end of the week.